I am a mixed media artist. The work itself determines which medium will accomplish what is needed to produce the desired finished product. My artistic journey started early in life when my mother delivered a set of tempera paints to my room. The process of mixing two primary colors to form a third secondary color was magical. I graduated from the School of Architecture at Auburn University with a degree in Interior Design, a field I pursued for 25 years. My time was spent designing professional and commercial spaces in conjunction with various architectural firms before becoming an independent consultant. During this time, I remained active in the art field using my design senses in 2D expression. 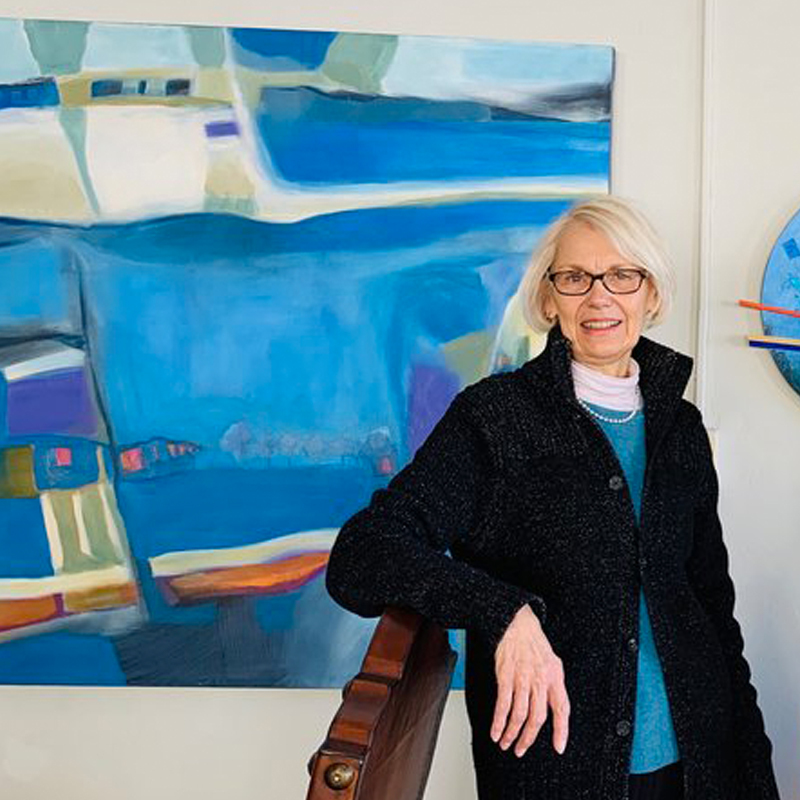 After moving to Colorado and partnering with five other artists, I became partial owner-operator and President of Articulation Gallery, Inc., an award-winning gallery representing over 30 national artists. I now spend my time in my studio, Apogee Studio, in Salida, Colorado. A continued effort is made to stay informed as new media and methods of expression arise to maintain a sustained inventive technique.